After a productive, exhausting and super creative 2.5-year break at Berklee College of Music, Light Minutes Away is back to curating some exclusive performances! We are psyched to present a cross-discipline performance XENAI, which engages electronic music with vocals, live painting performance and analog video synthesis. 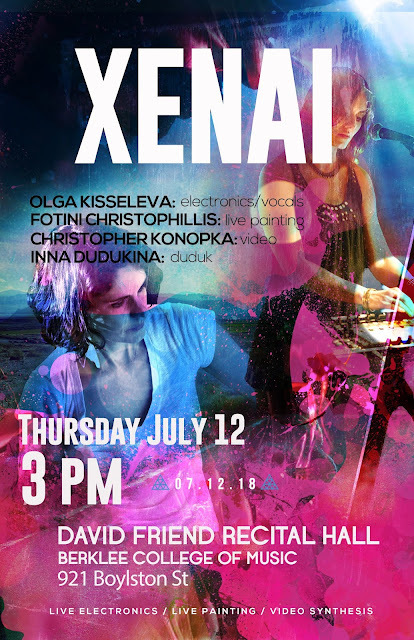 XENAI is a trilogy series centered around the ideas of inception, challenges and assertion of a new identity.